Stories We Tell was one film that was added to the VIFF at the last minute. I was expecting this to be more of a live-action film but it turned out to be a documentary to my surprise. And quite an intriguing one. 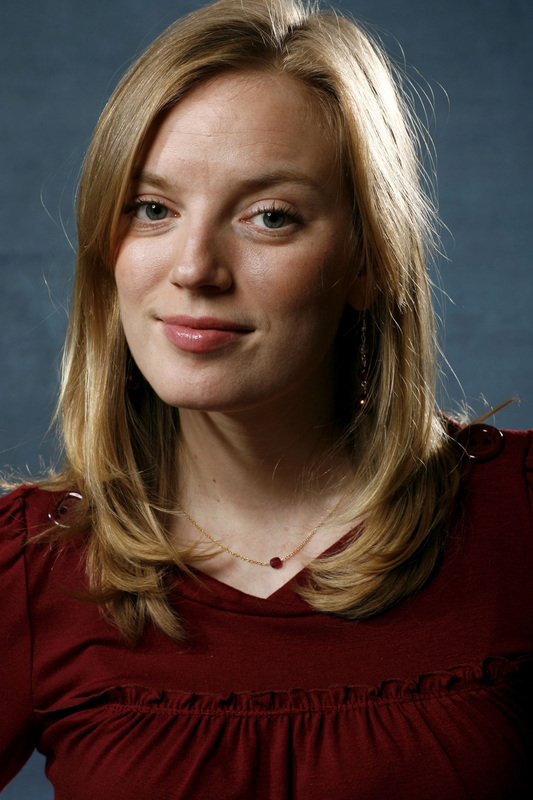 The documentary is directed by famed Canadian actor/director Sarah Polley. The documentary first appears to be her father, siblings and other friends and loved ones talking about her mother Diane Polley, from her career as an actor and a singer to her work in a Montreal play around the time her pregnancy with Sarah was starting (April 1978) to the abortion that wasn’t to the birth of Sarah to Diane’s death. All of those involved tell their story with reenacted images appearing in the style of Super-8 home movies. Some even receive direction from Sarah in telling their story and Rebecca Jenkins is cast to play Diane in the Super-8 re-enactments and fake television footage. After more than half an hour, you think it’s a chronology of the Polley family, or at least the mother. It turns out to be a lot more: a ‘family secret.’ After the death of her mother, Sarah began to question her birth father. Could it really be Diane’s husband Michael Polley or was it another man? It even became a bit of a family joke at the dinner table when Sarah was a young teenager. Eventually the jokes died down and Sarah did some serious business about it. She learned about the actors her mother was acting within that play. She tried to look up one whom many in her family joke as the father but it’s not. Later she learns through conversations of those with the play and through a paternity test her father was Harry Gulkin, Canadian actor and film producer. The story about searching for the truth of her birth father is seen and heard from the various angles interviewed for the movie: Sarah, her four siblings, Michael Polley, Harry, Harry’s daughter from a previous marriage, and castmates of that fateful Montreal show. The interviews are real in their retelling of the story but some interview dialogue is dramatized for the sake of the film. Possibly to show how a story that happens turns into a story told. I think that was the point Sarah was trying to get across in this is how people take the experiences of their lives and turning them into stories. That explains why we see Sarah giving those she interviews direction at times. One thing about this documentary is that despite the re-enactment of events on Super-8 film (which had me fooled into thinking they were actually home movies) and the facts being told dramatically by some of the interviewees is that the drama does stop. There is a point where Michael does admit that there was a time in the late 70’s when the marriage seemed to be going dry: he had ambitions of being a playwright but settled on becoming an insurance salesman. He even confesses he told Diane during that time it’s okay for her to romance another man. Another point near the end, Michael cuts away from his cheery personality and his ability to laugh off the situation into showing the hurt he feels knowing he’s not Sarah’s biological father. It’s like that for all the others interviewed too where they all have a calm face or are smiling when they tell the story throughout but it’s near the end when they’re deep in thought that the hurt comes to them. You can see it in their faces. This is not just a documentary that exposes a family secret of a popular Canadian celebrity. It’s also about Sarah’s relation to the people around her, both family and friends. New people came into her life after learning the truth. Most of her personal relations with others remained unchanged. She still has a healthy relationship with her siblings from her mother’s side as well as the father she always knew. She also has developed a healthy relationship with her biological father and her daughter: people that just came into her life years ago. Another angle of the documentary is it shows how despite laughing off the story, there are still some that feel hurt knowing the truth about the story. Siblings she always knew as full-siblings are now half-siblings. Even the half-siblings from her mother’s first marriage are hurt knowing the truth. The father has hurt behind the laughter. Harry occasionally thinks of the years he missed seeing Sarah grow up. The thing that surprises me most about this is how successfully the family and others involved were in their ability to keep it secret and away from the media. We shouldn’t forget that this was all happening when Sarah was a public figure. The first secrets were unraveling during her days as Sarah Stanley in Road To Avonlea. It accelerated just as she was becoming the it-girl of Sundance in the late 90’s. The truth was finally revealed just as she was making a name for herself as a director in Away From Her. If this secret had been let out earlier, this could have put a big dent in her career and her image as ‘Canada’s Sweetheart’ during her child actor days could have been tarnished. It’s good to see the family and those who knew the truth kept quiet about this and that only Sarah herself could allow this to be exposed through this film only now. In a world that’s tabloid-obsessed and loves celebrity scandal, it’s good to see this was kept quiet enough to give Sarah the privacy she wanted. THREE BITS OF TRIVIA: First, Diane Polley was a casting director for two made-for-TV movies of Anne Of Green Gables: the Canadian novel series the family drama Road To Avonlea was spun off of. Second, Diane died only three days after the pilot episode of Road To Avonlea was aired across Canada. Third, Sarah notes on the National Film Board of Canada (NFB) website that at least two journalists knew of the story for years but respected her wishes to keep it private and for her to be the first to let the truth out. Once again, Sarah can add another accomplishment to her resume. She has already accomplished television acting as a child, movie acting as a teenage adult, directing and scriptwriting just years ago and now documentary director. It’s interesting how back during the late 90’s, Sarah turned her back on Hollywood in an attempt to be taken more seriously despite being referred to as the Sundance it-girl. It was a risky move that has paid off over the years. That’s something to admire especially since we’re in a time when people are mostly willing to become famous however they can, even if it doesn’t involve talent at all. This is one documentary I saw at the VIFF that works well as a big-screen film. I myself saw it at the 1100-seat Vogue stage theatre in Vancouver. However this is one documentary that would best draw a crowd with Canadians or those into arthouse films. Those are the filmgoers who recognize Sarah best. Outside of that, it’s still a documentary that can touch one who may have a similar story like this in their own family. For the record, American film company Roadside Attractions has purchased the film and plans to release it in the US in early 2013. No word yet on Canadian theatrical release. It’s all in the hands of the NFB. Stories We Tell is an amusing and touching documentary about the retelling of a family secret within Sarah Polley’s family. It’s as charming and witty as it is intimate, touching and even heartbreaking. Definitely worth seeing.